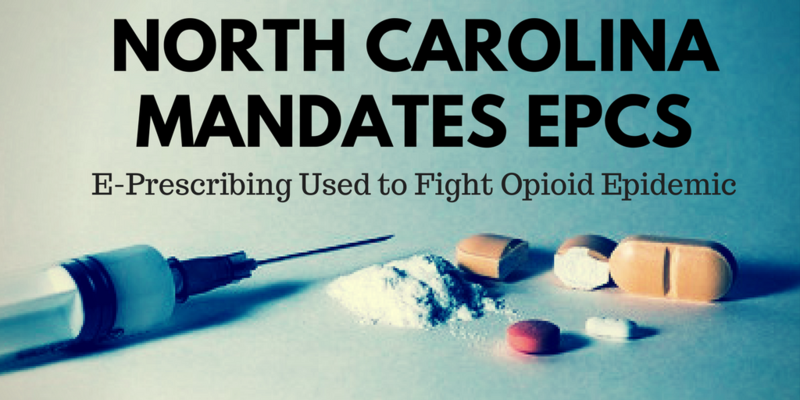 North Carolina is the most recent state to pass a law requiring the use of e-Prescribing in an effort to combat opioid abuse. Governor Roy Cooper recently signed the Strengthen Opioid misuse Prevention (STOP) Act into law. The act requires that certain schedule II and schedule III controlled substances be electronically prescribed by January 1, 2020. The act also sets a 5-day limit for initial prescriptions for acute pain and a 7-day limit for post-operative pain. It sets requirements for utilizing the North Carolina Controlled Substance Reporting System as well. The statewide reporting system tracks patients’ Schedule II-V controlled substance prescriptions so that prescribers can identify patients who may be misusing those controlled substances. The opioid epidemic is hitting nationwide and North Carolina is no exception. There was a 73 percent increase in the number of opioid-related deaths from 2005 to 2015 in North Carolina with more than 13.000 opioid-related deaths during the period. North Carolina is the 5th state to pass such legislation. New York, Virginia, Maine and Connecticut have similar laws requiring e-Prescribing. Several other states have pending legislation as well. All of these states hope to fight the opioid epidemic by reducing the number of opioids available and preventing the addictions from even starting. E-Prescribing is an important tool in the opioid battle and we are happy to see so many states recognizing that. We are sure more and more states will join in the fight with this tool, but we also hope that prescribers will recognize the benefits and not wait for state mandates to start utilizing it. If you are a prescriber ready to start employing e-Prescribing of controlled substances in your practice, contact us to get started right away.